The 2 Days Masai Mara Safari Kenya. 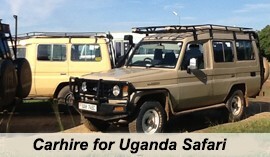 Wildlife Safari Kenya Tour. Kenya Safari Tour. 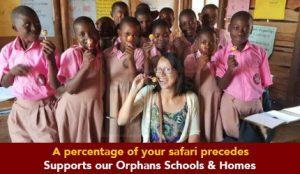 The 2 Days Masai Mara safari in Kenya tour starts & ends from Nairobi presenting an incredible mini break Kenya safari trip to one of Africa’s leading Kenya wildlife Safari destinations & Masai people culture encounters. 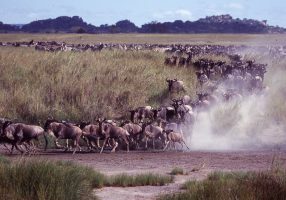 You will see the Big five, Cheetah and Hyena, & the famous Great Migration which involves movement of Millions of Wildebeest, hundreds of thousands of Zebras and hundreds of Gazelles from Serengeti & back every year and the great Maasai people – the ancient inhabitants of this land whose the reserve is named. 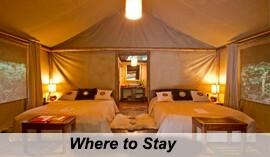 Maasai mara is a vast area of grassy plains converging by the meandering Mara river. 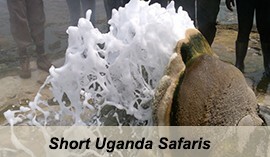 It is an African Gem and an area rich in culture, tradition, beauty and home to the big five. 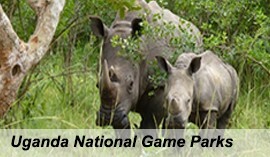 Afternoon game drives at 1600 hrs. 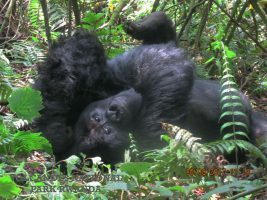 Engage in an extensive morning game drive making more wildlife discoveries available in this great Reserve. Maasai Mara is known for its great of predators including Lions, Leopard, Cheetah, Hyena and a range of grazers including the Elephants, Buffalos, Wildebeest, Zebras, Elands among others. 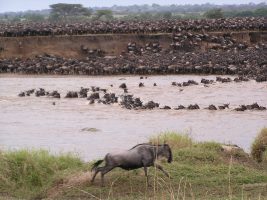 If its season for Great Migration, you have an opportunity to view the great counts of Wildebeest, Gazelles and Zebras cross from Tanzania’s Serengeti to Kenya’s Maasai Mara.